John Long How to Rock Climb! How to Rock Climb!, now in its fifth edition, is the most thorough instructional rock climbing book in the world. All the fundamentals—from ethics to getting up the rock—are presented in John Long’s classic style. 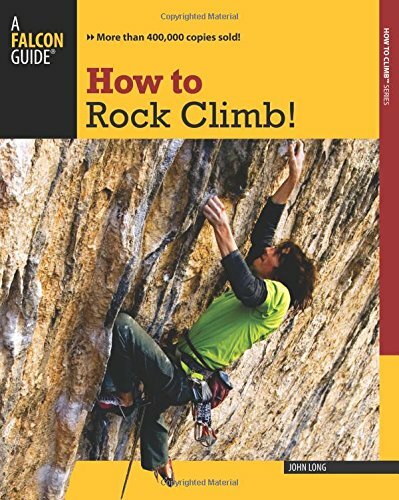 Thoroughly revised and updated to reflect the modern standards of equipment, technique, and training methods, this guide includes sections on face climbing; crack climbing; ropes, anchors, and belays; getting off the rock; sport climbing; and much more. It is the essential how-to book for rock climbers everywhere. How to Rock Climb! is the most thorough and the best-selling instructional rock climbing book in the world. This nuts-and-bolts guide serves as an introduction to rock climbing for beginners and helps intermediate climbers hone their knowledge of the sport. All the fundamentals, from ethics to getting up the climb, are here. Thoroughly updated with more than 400 color photographs and illustrations, this fifth edition covers all aspects of modern equipment, technique, and training methods. It is the most complete upgrade since its first publication more than fifteen years ago. 1. How to Rock Climb!